This question puzzled astronomers for centuries and no, the answer is not because the sun is on the other side of the planet. Olbers pointed out that if there were an infinite number of stars evenly distributed in space, the night sky should be uniformly bright. He believed that the darkness of the night sky was due to the adsorption of light by interstellar space. This is wrong. Olbers’ question remained a paradox until 1929 when it was discovered that the galaxies are moving away from us and the universe is expanding. The distant galaxies are moving away so fast that the intensity of light we receive from them is diminished. In addition, this light is shifted towards the red end of the spectrum. These two effects significantly reduce the light we receive from distant galaxies, leaving only the nearby stars, which we see as points of light in a darkened sky. This means that the universe is expanding like a balloon. The principle of an expanding cosmos is at the heart of astronomical theory. Before 1930, astronomers believed that the Milky Way was the only galaxy in the universe. The discovery of Cepheid variables, which brightened and dimmed in a regular rhythm gave a clue as to the true size of the universe. In 1923, Hubble spotted a Cepheid variable in the Andromeda Nebula, previously supposed to be clouds of gas. This led to the conclusion that Andromeda was nearly a million light years away, far beyond the limits of the Milky Way and clearly a galaxy in its own right. Hubble went on to discover Cepheids in other nebula and proved that galaxies existed beyond our own. He began to develop a classification system, sorting galaxies by size, content, distance, shape and brightness. He divided galaxies into elliptical, spiral, barred spiral and irregular. These are subdivided into categories, a, b and c according to the size of the central mass of stars within the galaxy and the tightness of any spiraling arms. Construction began on the HST in 1977 and it was launched by the space shuttle Discovery on 25 April 1990. The instruments can detect not only visible light but also infra-red and ultra-violet. Hubble noticed that the galaxies appeared to be moving away from the region of space in which the Earth is located. It appeared that the further away a galaxy was, the faster it was receding. The conclusion was that the universe, which had previously been considered static is in fact expanding. In 1915, EINSTEIN’s theory of relativity had suggested that owing to the effects of gravity, the universe was either expanding or contracting. Einstein knew little about astronomy and had introduced an anti-gravity force into his equations, the cosmological constant. Hubble’s discoveries proved Einstein had been right after all and Einstein later described the introduction of the gravitational constant as ‘the biggest blunder of my life’. Hubble’s discovery that the universe is expanding led to the development of the ‘big-bang’ model of the universe. where F is Force, m and M the masses of two bodies, r the distance between them and G the gravitational constant. This follows from KEPLER’s laws, Newton’s laws of motion and the laws of conic sections. Gravitation is the same thing as gravity. The word gravity is particularly used for the attraction of the Earth for other objects. Newton stated that the law of gravitation is universal; it applies to all bodies in the universe. All historical speculation of different mechanical principles for the earth from the rest of the cosmos were cast aside in favour of a single system. He demonstrated that the planets were attracted toward the sun by a force varying as the inverse square of the distance and generalized that all heavenly bodies mutually attract one another. Simple mathematical laws could explain a huge range of seemingly disconnected physical facts, providing science with the straightforward explanations it had been seeking since the time of the ancients. That the constant of gravitation is in fact constant was proved by careful experiment, that the focus of a body’s centre of gravity appears to be a point at the centre of the object was proved by his calculus. Newton’s ideas on universal gravitation did not emerge until he began a controversial correspondence with ROBERT HOOKE in around 1680. Hooke claimed that he had solved the problem of planetary motion with an inverse square law that governed the way that planets moved. Hooke was right about the inverse square law, but he had no idea how it worked or how to prove it, he lacked Newton’s genius that allowed him to derive Kepler’s laws of planetary motion from the assumption that an object falling towards Earth was the same kind of motion as the Earth’s falling toward the Sun. It was not until EDMUND HALLEY challenged Newton in 1684 to show how planets could have the elliptical orbits described by Johannes Kepler, supposing the force of attraction by the Sun to be the reciprocal of their distance from it – and Newton replied that he already knew – that he fully articulated his laws of gravitation. It amounts to deriving Kepler’s first law by starting with the inverse square hypothesis of gravitation. Here the sun attracts each of the planets with a force that is inversely proportional to the square of the distance of the planet from the sun. From Kepler’s second law, the force acting on the planets is centripetal. Newton says this is the same as gravitation. In the previous half century, Kepler had shown that planets have elliptical orbits and GALILEO had shown that things accelerate at an even pace as they fall towards the ground. Newton realized that his ideas about gravity and the laws of motion, which he had only applied to the Earth, might apply to all physical objects, and work for the heavens too. Any object that has mass will be pulled towards any other object. The larger the mass, the greater the pull. Things were not simply falling but being pulled by an invisible force. Just as this force (of gravity) pulls things towards the Earth, it also keeps the Moon in its orbit round the Earth and the planets moving around the Sun. With mathematical proofs he showed that this force is the same everywhere and that the pull between two things depends on their mass and the square of the distance between them. 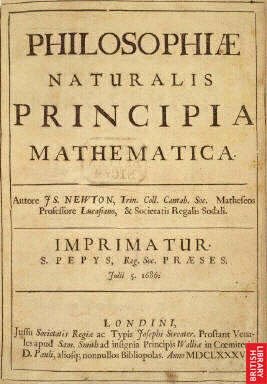 Newton published his law of gravitation in his magnum opus Philosophiae Naturalis Principia Mathematica (Mathematical Principles of Natural Philosophy) in 1687. In it Newton analyzed the motion of orbiting bodies, projectiles, pendulums and free fall near the Earth. The first book of Principia states the laws of motion and deals with the general principles of mechanics. 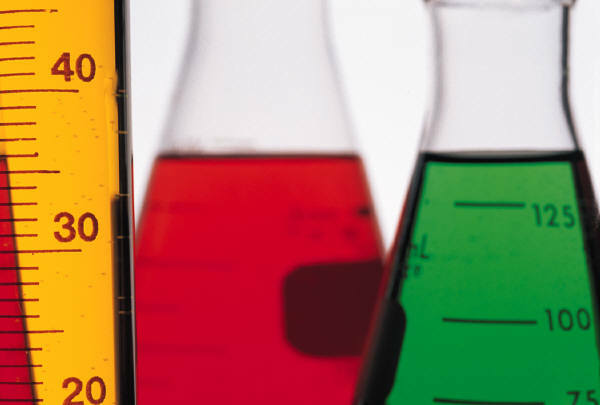 The second book is concerned mainly with the motion of fluids. The third book is considered the most spectacular and explains gravitation. Why do two objects attract each other? It was Newton’s acceptance of the possibility that there are mysterious forces in the world, his passions for alchemy and the study of the influence of the Divine that led him to the idea of an invisible gravitational force – something that the more rationally minded Galileo had not been able to accept. Newton’s use of mathematical expression of physical occurrences underlined the standard for modern physics and his laws underpin our basic understanding of how things work on an everyday scale. The universality of the law of gravitation was challenged in 1915 when EINSTEIN published the theory of general relativity. 1670-71 Newton composes ‘Methodis Fluxionum‘, his main work on calculus, which is not published until 1736. His secrecy meant that in the intervening period, the German mathematician LEIBNIZ could publish his own independently discovered version – he gave it the name calculus, which stuck. The angle of curve, by definition, is constantly changing, so it is difficult to calculate at any particular point. Similarly, it is difficult to calculate the area under a curve. Using ARCHIMEDES’ method of employing polygons and rectangles to work out the areas of circles and curves, and to show how the tangent or slope of any point of a curve can be analyzed, Newton developed his work on the revolutionary mathematical and scientific ideas of RENE DESCARTES, which were just beginning to filter into England, to create the mathematics of calculus. Calculus studies how fast things change. The idea of fluxions has become known as differentiation, a means of determining the slope of a line, and integration, of finding the area beneath a curve. introduces the concept of inertia, the tendency of a body to resist change in its velocity. The law is completely general, applying to all objects and any force. The inertia of an object is related to its mass. Things keep moving in a straight line until they are acted on by a force. The Moon tries to move in a straight line, but gravity pulls it into an orbit. Weight is not the same as mass. explains the relationship between mass and acceleration, stating that a force can change the motion of an object according to the product of its mass and its acceleration. That is, the rate and direction of any change depends entirely on the strength of the force that causes it and how heavy the object is. If the Moon were closer to the Earth, the pull of gravity between them would be so strong that the Moon would be dragged down to crash into the Earth. If it were further away, gravity would be weaker and the Moon would fly off into space. shows that forces always exist in pairs. Every action and reaction is equal and opposite, so that when two things crash together they bounce off one another with equal force. 1672 – New Theory about Light and Colours is his first published work and contains his proof that white light is made up of all colours of the spectrum. By using a prism to split daylight into the colours of the rainbow and then using another to recombine them into white light, he showed that white light is made up of all the colours of the spectrum, each of which is bent to a slightly different extent when it passes through a lens – each type of ray producing a different spectral colour. Newton also had a practical side. In the 1660s his reflecting telescope bypassed the focusing problems caused by chromatic aberration in the refracting telescope of the type used by Galileo. 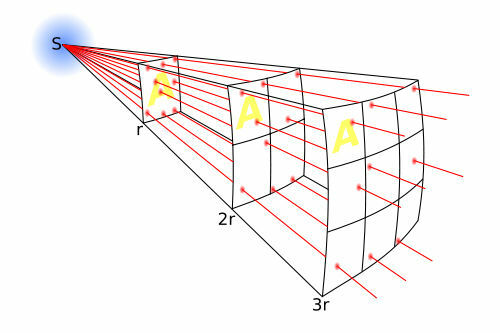 Newton solved the problem by swapping the lenses for curved mirrors so that the light rays did not have to pass through glass but reflected off it. At around the same time, the Dutch scientist CHRISTIAAN HUYGENS came up with the convincing but wholly contradictory theory that light travels in waves like ripples on a pond. Newton vigorously challenged anyone who tried to contradict his opinion on the theory of light, as Robert Hooke and Leibniz, who shared similar views to Huygens found out. Given Newton’s standing, science abandoned the wave theory for the best part of two hundred years. 1704 – ‘Optiks’ published. In it he articulates his influential (if partly inaccurate) particle or corpuscle theory of light. Newton suggested that a beam of light is a stream of tiny particles or corpuscles, traveling at huge speed. If so, this would explain why light could travel through a vacuüm, where there is nothing to carry it. It also explained, he argued, why light travels in straight lines and casts sharp shadows – and is reflected from mirrors. His particle theory leads to an inverse square law that says that the intensity of light varies as the square of its distance from the source, just as gravity does. Newton was not dogmatic in Optiks, and shows an awareness of problems with the corpuscular theory. In the mid-eighteenth century an English optician John Dolland realized that the problem of coloured images could largely be overcome by making two element glass lenses, in which a converging lens made from one kind of glass was sandwiched together with a diverging lens made of another type of glass. In such an ‘achromatic’ lens the spreading of white light into component colours by one element was cancelled out by the other. During Newton’s time as master of the mint, twenty-seven counterfeiters were executed. GALILEO was the first to study sunspots. Schwabe made careful records of sunspots almost daily for 17 years before announcing his theory. He continued his observations for another 25 years. Wherever magnetic fields emerge from the sun, they suppress the flow of surrounding hot gases, creating relatively cool regions that appear as dark patches in the sun’s shallow outer layer, the photosphere. 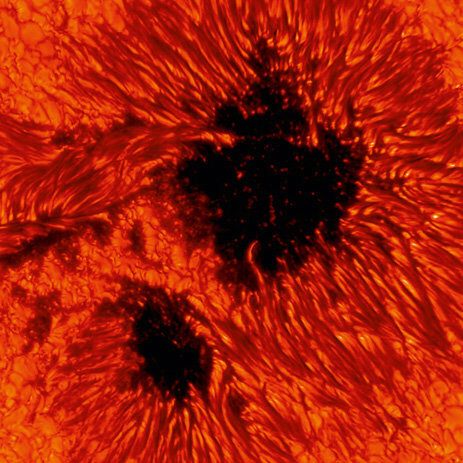 Sunspots vary in size from 1000 to 40,000 kilometres across and may last from a few days to many months. Near a solar minimum there are only a few sunspots. During a solar maximum, solar flares can produce dramatic changes in the emission of ultraviolet rays and X-rays from the sun.